It’s not often that the weatherman predicts a two-day heat wave for the UK. At 22° Celsius, it was shaping up to be our hottest day of the year so far, but not everywhere, though. The Lake District was forecast to be cloudy in places, with rain likely later on. On the other hand, West Yorkshire was predicted to have temperatures rising to the mid-twenties. So, somewhere in the Yorkshire Dales seemed to be a good idea. 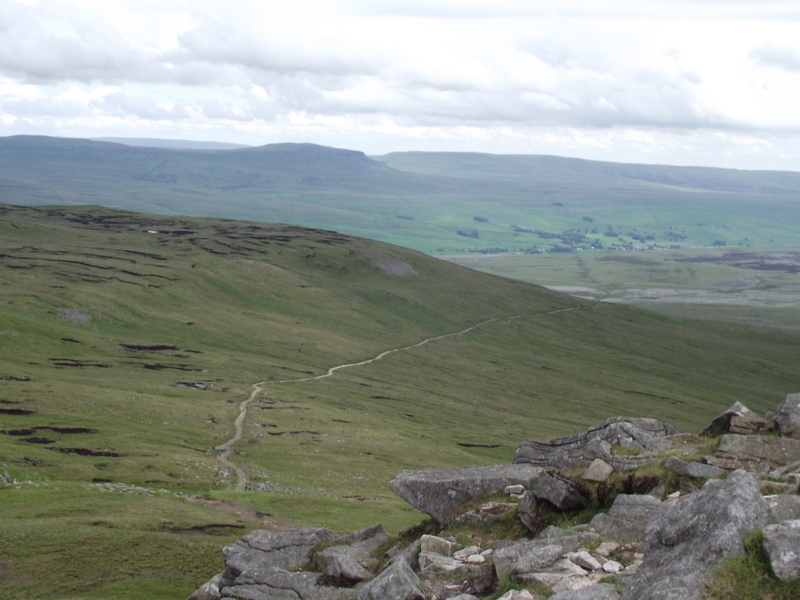 The Yorkshire Dales and the Lake District are fairly close in places, and sometimes they even share the same weather pattern, so why did I think that Ingleborough (Western Dales, and near to the Lakes) would be a better bet than the eastern side of the Dales? As we arrived at Clapham the temp was showing 21°, but the sky was overcast, and the air felt like a warm, moist blanket. 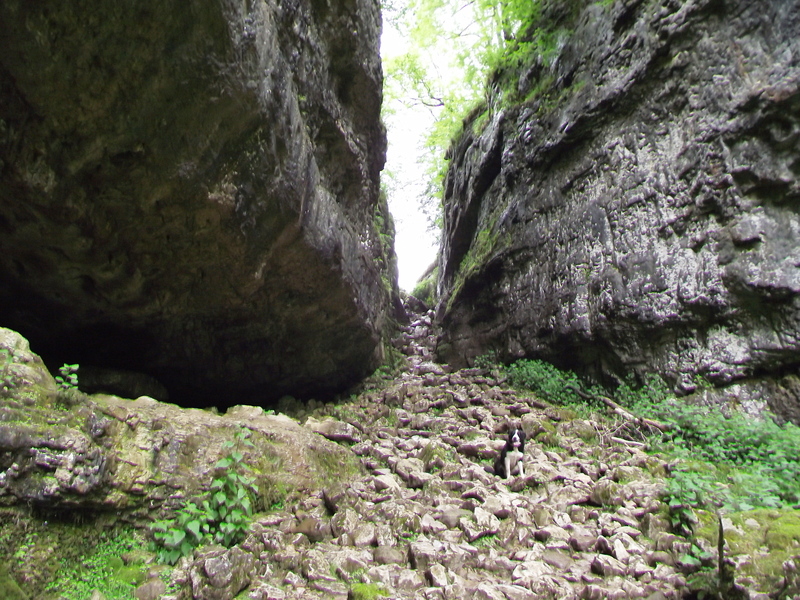 Our route started by heading for the impressive Trow Gill. The experts are undecided whether this is a melt-water channel or a collapsed cave, but the argument is, literally, academic. Most of us just enjoy the sense of majesty, whilst sport climbers will head for some of the bolt-protected routes on the side walls; definitely out of my league, though we had an interesting trip here 1½ years ago, when a sharp freeze turned the upper part of the Gill into a minor ice route! 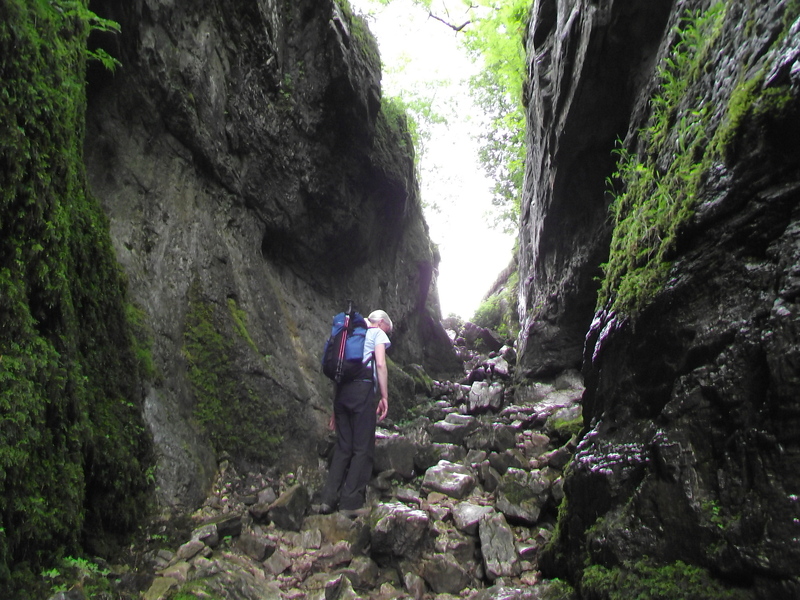 After the gill, a short walk by a wall brings you to a pair of stiles giving access to the open fell – one of the main points of interest is the nearby pothole of Gaping Gill, or ‘GG’ as it is known in the caving world. From the outside it just looks like a large hole. 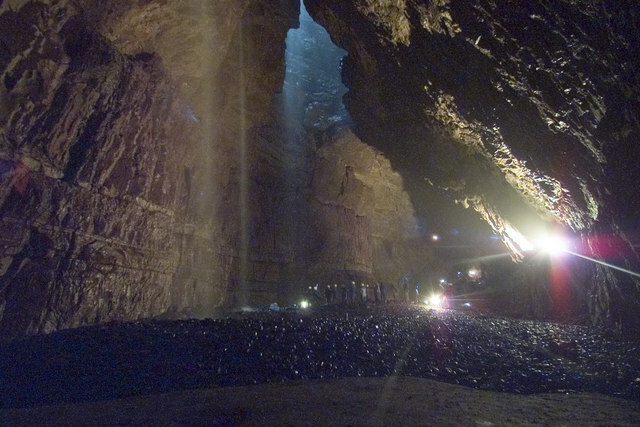 What isn’t immediately obvious is that you are looking into on of the largest underground chambers in the UK, with a volume comparable to York Minster – the water plunging in free-fall down the hole is England’s highest unbroken waterfall. 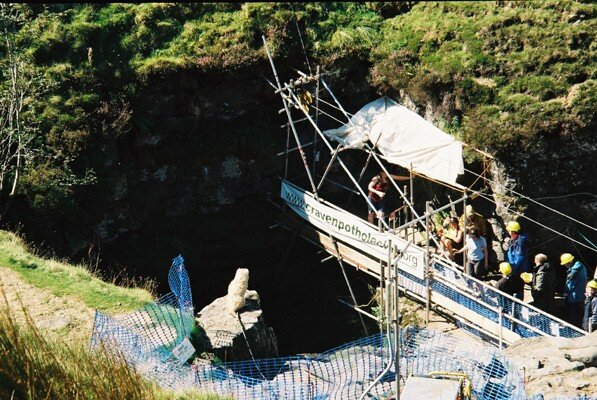 Forty years ago I was a member of a minor (now long forgotten) caving club. As we didn’t have a permit to go caving in the area, we decided on a ‘pirate’ trip. 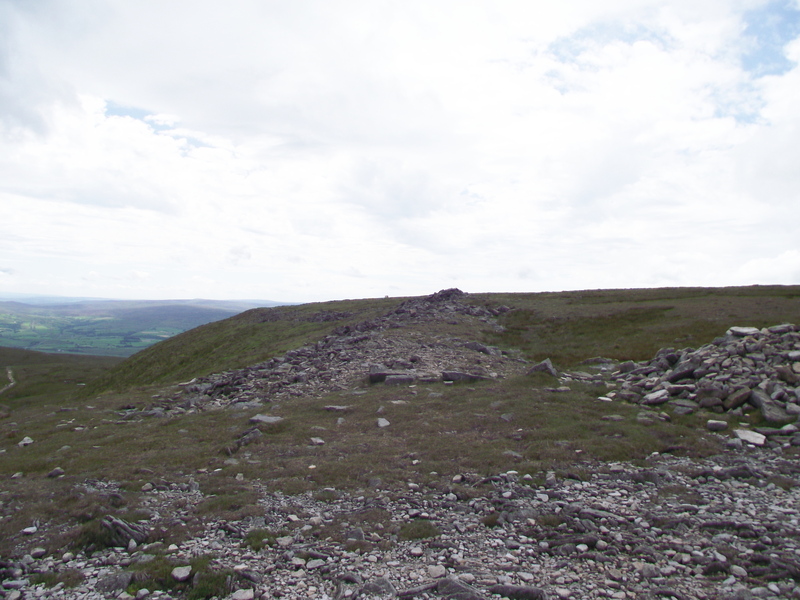 These were great fun at the time, usually involving a quick pint before closing time, then setting off across the hillside in the dark – if you think about it, potholing at night is no more difficult than in the day. Our route was the fairly modest ‘Bar Pot’ with a long ladder pitch of 30 metres, which led us eventually to the Main Chamber of ‘GG’, and the whole thing was completed without incident, followed by a long lie-in the next day. 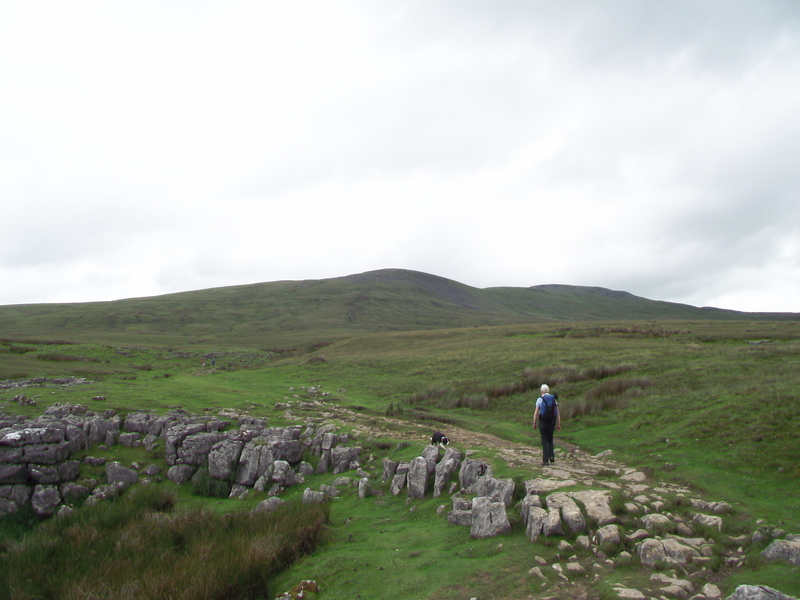 Having seen ‘GG’ many times, Chris and I carried on heading up to Little Ingleborough, our pace a bit too slow for ‘Mist’ – situation normal, then. This route isn’t the most popular, but was still fairly busy. The ascent continues gaining height gradually until you suddenly appear on the summit plateau. 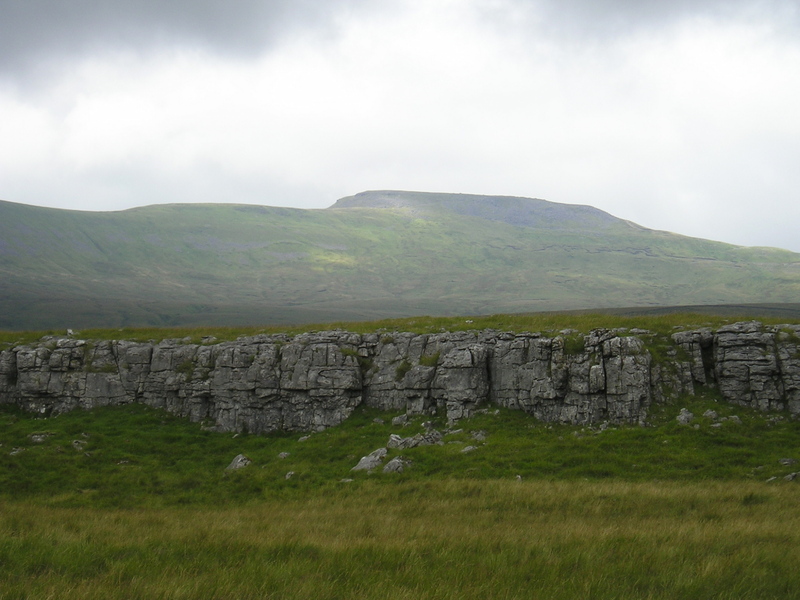 Ingleborough is one of the most recognizable mountains in the North of England, and can easily be picked out from several directions. 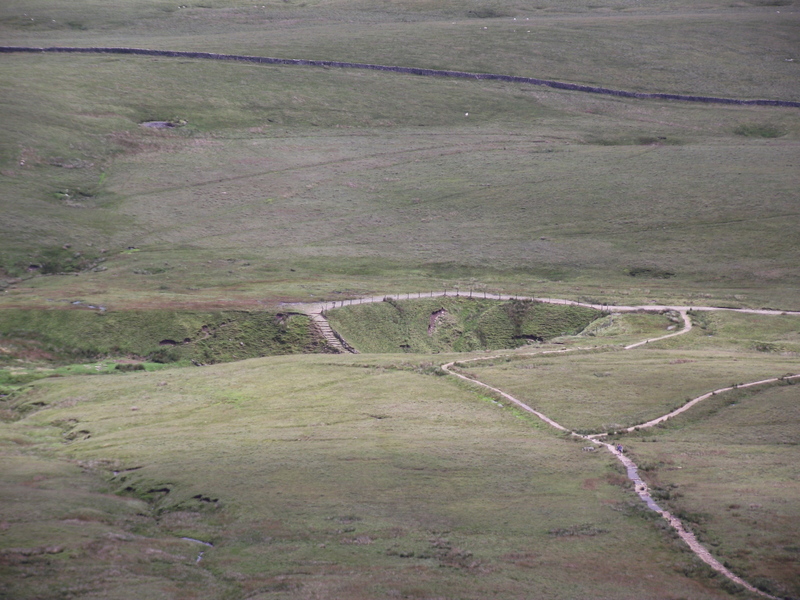 Two thousand years ago the Brigantes built a hill fort here, and the remains of their walls can still be picked out as you reach the plateau. Another pile of stones marks the site of a ‘hotel’ built in 1830 to provide refreshments to visitors. At the official opening a drunken mob started to demolish the building, a task later completed over several months by other visitors and the weather. As a refreshing ‘pint’ was clearly out of the question, we settled for our sandwiches before heading off down the Horton path. 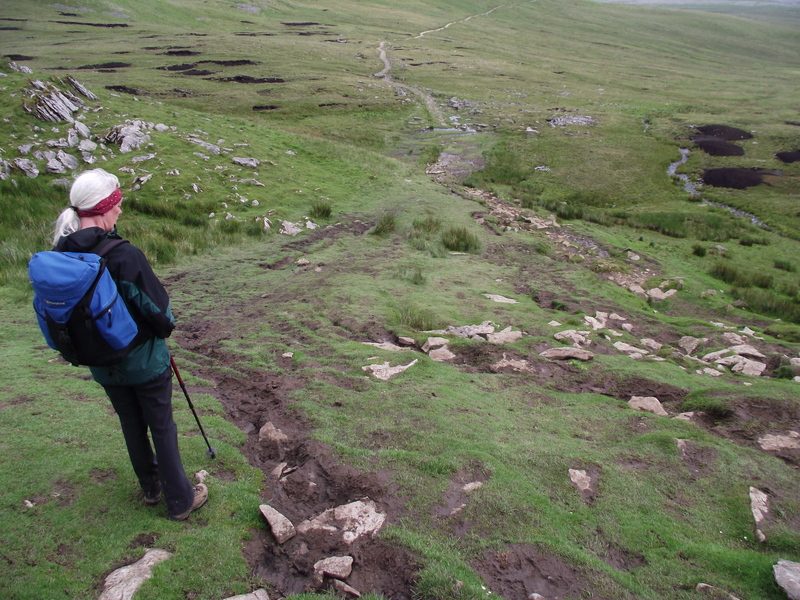 The popularity of the Yorkshire Three Peaks challenge is evident by the eroded state of the path. The subject of path “improvement” is controversial, but I would rather see a well-laid stone ‘causeway’ path than a ten metres wide swamp. Some disagree with that view – they are usually the ones wearing muddy gaiters and unhappy expressions. 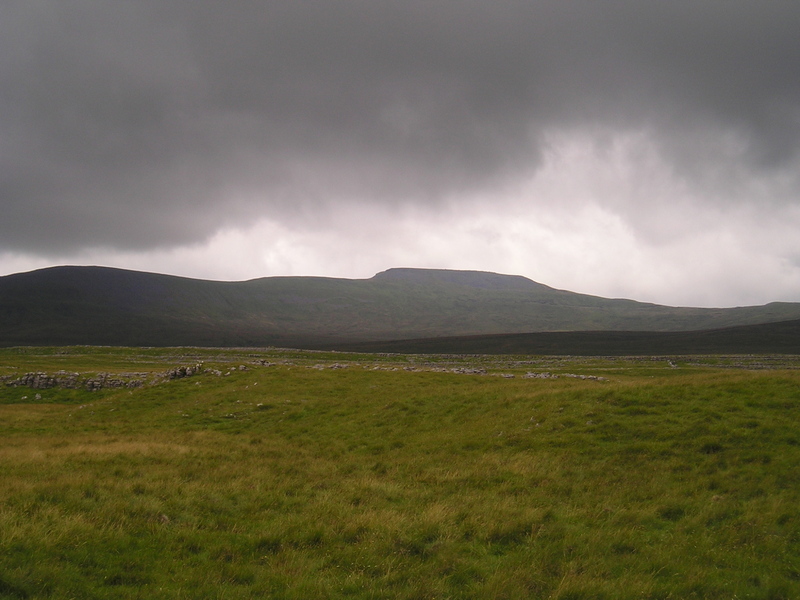 The descent to Sulber became wetter and muddier, and as we headed past the head of Crummack Dale the rain arrived. Apparently back in Bradford ‘the sun was cracking the slabs’, but at least we had warm rain – roll on the next heat wave. Text and images © Paul Shorrock – Images by Bob Smith and Peter Smyly from the Geograph Project and reproduced here under Creative Commons Licence. This entry was posted in 3. 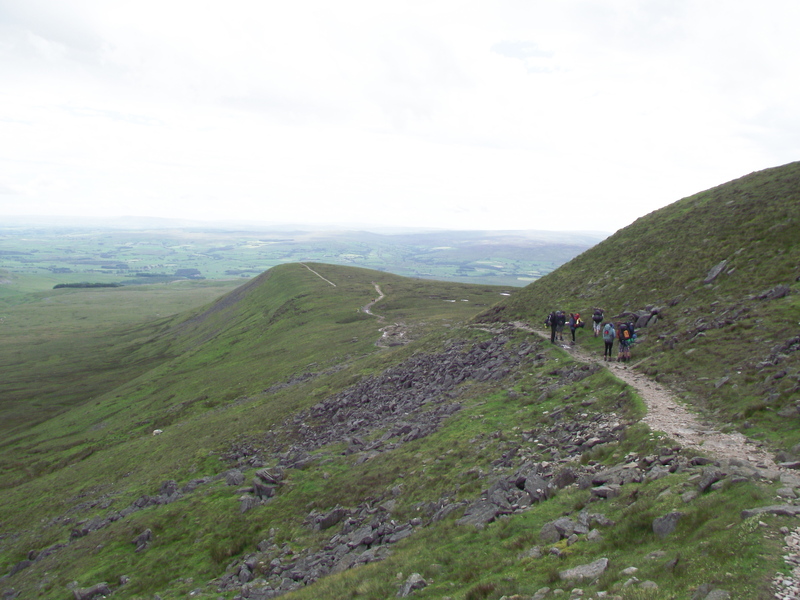 Yorkshire Dales and tagged caving, hillwalking, Ingleborough, mountains, Three Peaks Challenge. Bookmark the permalink. Paul, a classic route this and also ensures a fine days walk. I walked this way twice I think and I am sure I will do it again sometime ! As you say, Mark, a classic. One worth repeating. 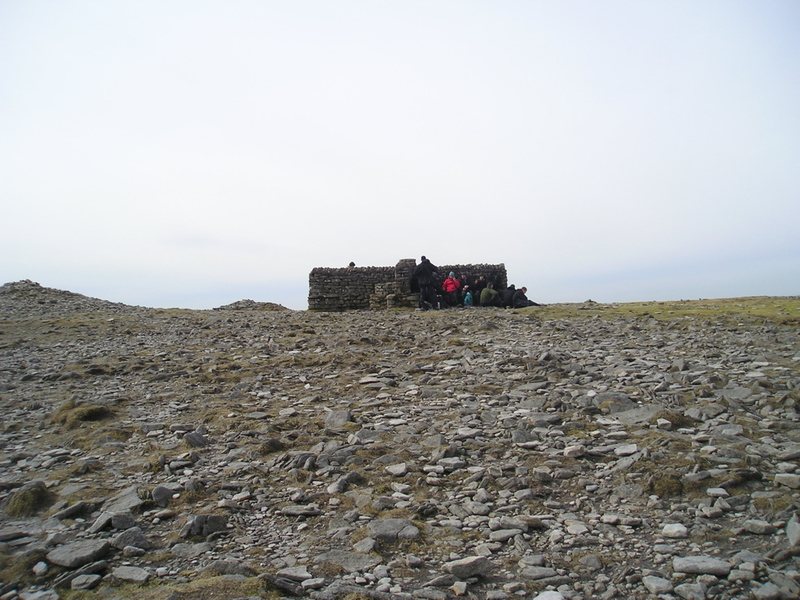 I used to do Ingleborough regularly as my winter keep-fit hill. Now I have to go to the Lakes in winter as I don’t manage to get there much the rest of the year as I have to go to Scotland Munroing (many people say I don’t HAVE to, but of course I do! 😉 ). 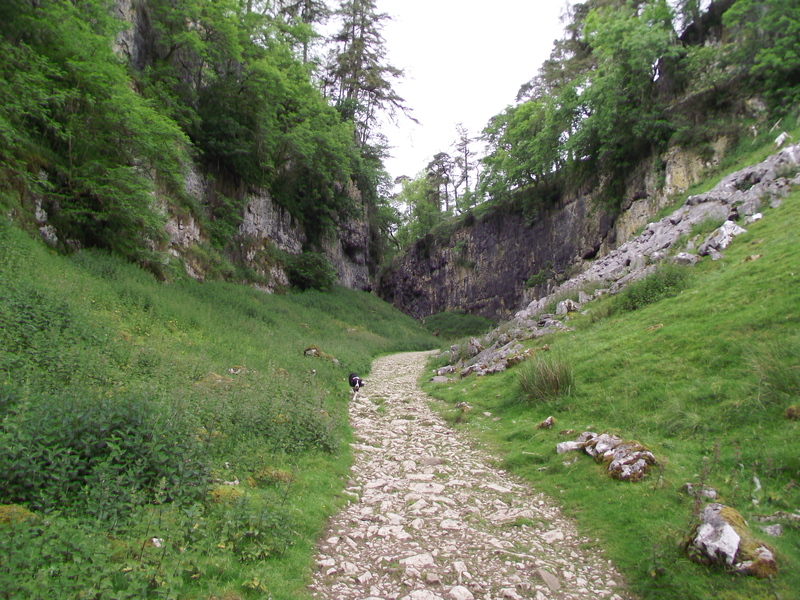 That was one of my regular routes anyway – my favourite though is up from Chapel-le-Dale. Completely agree with you on stone-pitching/path fixing. 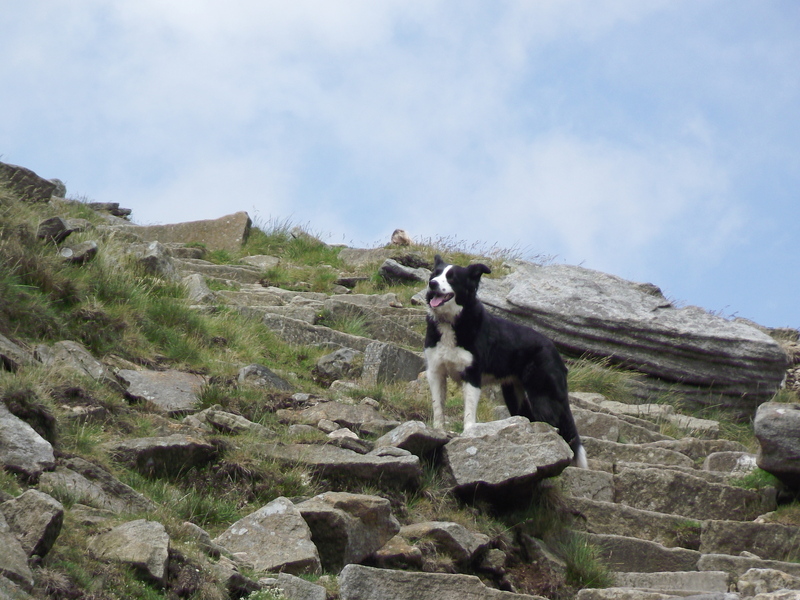 I far prefer that to continuing destruction of the mountain by ever-widening paths! When you say about Bar Pot’s ladder pitch – does that mean there’s actually a ladder in situ or do you have to bring your own? (I don’t know much about caving but keep thinking about trying some easy stuff). Most caves with pitches have to be rigged, in other words gear has to be carried in and fixed. The pioneers used rope ladders with wooden rungs – very heavy and bulky! When I was caving (late 60’s to mid 70’s) we used 25ft wire cable ladders with aluminium rungs, not quite as heavy. The 25ft ladders had links so that they could be joined together, so a 30 metre pitch would need 4 x 25ft ladders, plus a rope as a safety line – a 100ft pitch ladder climb was fairly hard work! Single Rope Technique was just becoming popular in the 70’s – pitches are abseiled then climbed using prussik devices on the rope – much lighter, less gear, but still tiring! Technique helps, as with most things in life. I think squeezes will scare me more than pitches – I seem to be coping fairly well on a rope now I’ve started indoor wall climbing. We did ‘falling off’ the other day and I was surprised to see afterwards that, despite me originally being the only person on our course afraid of heights, after my few visits to the climbing wall, I didn’t give it a thought and was more concerned with surprising the belayer! The others were quite nervous! I think a ‘sump’ would be out of the question for me too – there’s no way I’d contemplate one of those!